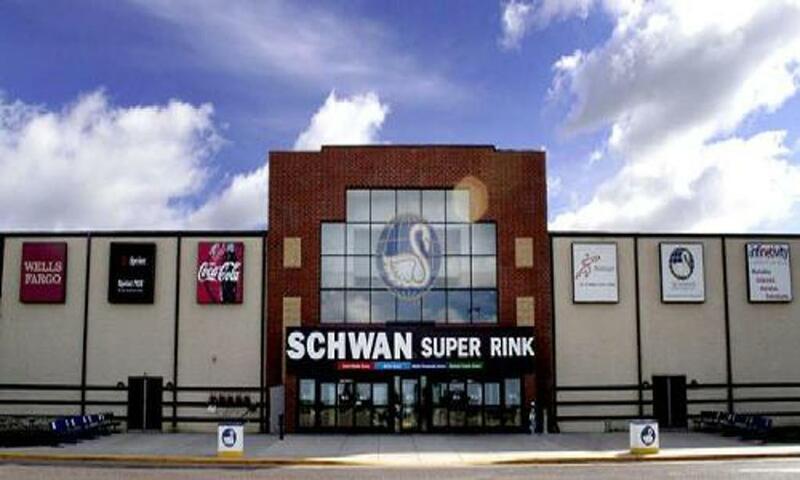 Schwan's Super Rink is located in the heart of the National Sports Center, 20 minutes north of Minneapolis, just off Interstate 35W. 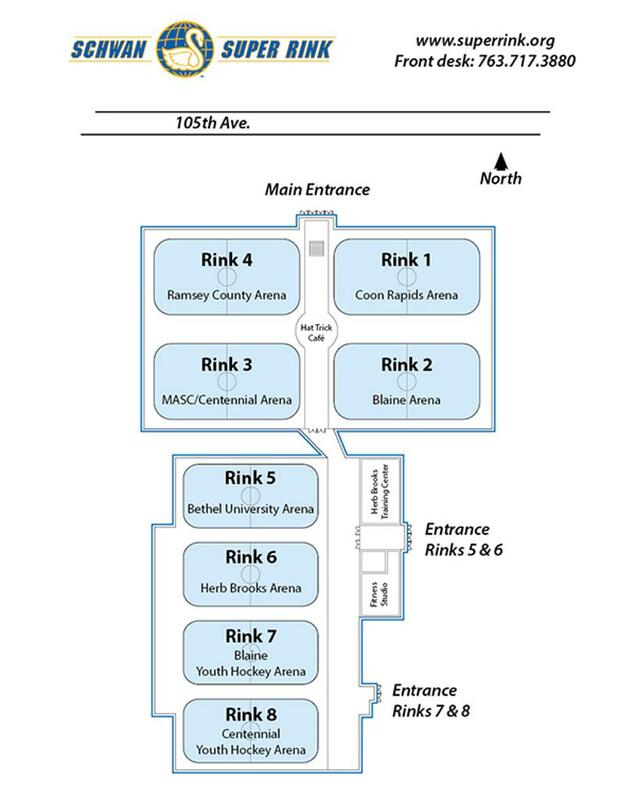 This state-of-the-art facility is the only arena in the world with four Olympic and four NHL size sheets of ice under one roof that totals over 200,000 square feet. Included in the arena is the pleasant, 70 degree Hat Trick Cafe that overlooks four sheets and 20+ oversized locker rooms that provide comfortable quarters.